The Spirit Reserves finished the regular season at 10-0-2 and in first place of the Eastern Conference. Braddock Road finished second with a record of 5-6-1. The Spirit and the Stars met three times during the regular season with all three games going in favor of the Spirit 4-1, 3-1 and 3-0. The lopsided scores may mean little on Friday night. Braddock Road made their playoff run late, adding new players and hitting their stride in the final weeks of the season. In addition, Braddock Road is one of only two teams able to score against the Spirit Reserves during the regular season. The Spirit Reserves, who won the conference title last year after finishing in 2nd place in the regular season, are familiar with the potential for upset Friday night. The winner of Friday night’s match will travel to Florida to meet up with the Central, Southeastern and Western Conference Champions. This week, the Charlotte Lady Eagles (5-1-4) will host the Gulf Coast Texans (5-1-4) to determine the Southeastern Conference Champions. The LA Blues (12-0-0) will host the Colorado Pride (9-2-1) for the Western Conference title. The K-W United FC (6-3-3) and the Laval Comets (6-4-2) will play Tuesday night to determine which one of them will face the Ottawa Fury (11-0-1) in the Central Conference Championship. The Spirit Reserves finished in third place at the 2013 W-League Championship after a heartbreaking 3-2 overtime loss to the Pali Blues in the semi-final. 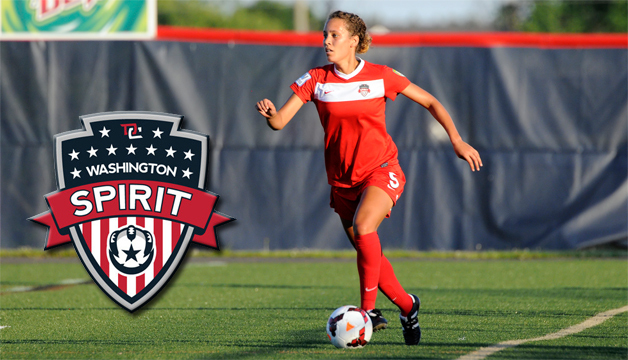 The Spirit Reserves will need to get through Braddock Road this Friday night at 7pm, if they hope to look for redemption at this year’s W-League Championship in Bradenton, Florida.